WE DO NOT MARK UP OUR LABS!! Be Motivated to Live a Healthier Life! 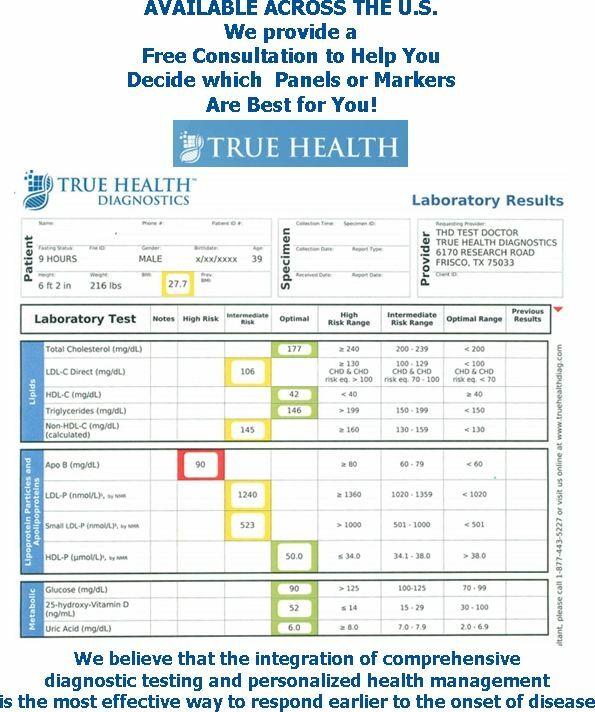 True Health understands that managing health must begin with accurate and prompt risk identification. Our proprietary and innovative diagnostic technology empowers medical specialists to detect disease indicators, often earlier than more traditional test methods allow. Take action before the onset of disease.